Packing an MQTT interface, the Linux operating system and e!COCKPIT Engineering Software, a new BACnet/IP Controller joins WAGO‘s PFC200 family. 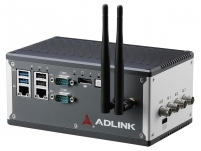 At Hannover Messe, Adlink and Entrust Datacard will demonstrate how trust at the edge is vital to making Industry 4.0 a reality. At the annual CiA General Assembly, the members re-elected the three members of the board: Uwe Koppe (Technical Director), Christian Schlegel (Business Director), and Holger Zeltwanger (Managing Director). The German Simon Group of companies was looking for a uniform, flexible, and future-proof network solution, which allows secure remote access and rapid diagnostics. The two Cybernet Group companies Maplesoft and Sigmetrix now have a joint office in Shanghai that is staffed by local experts to provide high-quality solutions to their customers. 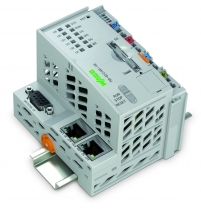 The mGuard Secure Cloud remote services from Phoenix Contact now offer improved performance and scalability. 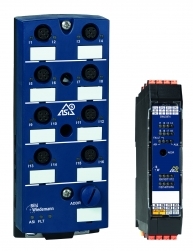 ASi-5 is the latest generation of the proven standard AS-Interface, a popular systems for the efficient networking of sensors and actuators at the automation base. With this new generation, AS-Interface takes the next step towards digitalization.